Debra discovered the Eastern Shore while on an 18-month sailing adventure that took her from Connecticut to Trinidad in the late 1980’s. The warm October weather, dramatic sunsets and skies full of returning geese hooked her immediately. Twenty years later, she still finds it magical and loves sharing this special part of the world with her customers. 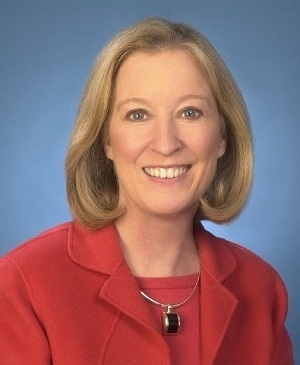 Before her move, Deb enjoyed a twelve-year Marketing career in Connecticut for Godiva Chocolates, Pepperidge Farm, and American Can. After settling in Easton in 1989, she earned her real estate license and worked on several innovative projects, including an adaptive reuse project creating upscale office space from a row of derelict buildings on West Street; Victoria Walk – condominiums created from a series of historic homes; and the redevelopment of Talbottown Shopping Center. Deb now lives on Harris Creek with her husband, Tom and three dogs. She has been involved with many organizations over the years, including President of the Mental Health Association in Talbot County, co-chair of the Academy Art Museum Craft Show, co-chair of the Chesapeake Chamber Music Festival Marketing Committee, and member of Soroptimists of Talbot County. Her favorite activity is spending time with her 3 year old granddaughter, Alice. Deb graduated from Duke University and has an MBA from New York University. She and her husband, Tom, specialize in fine Talbot County properties.